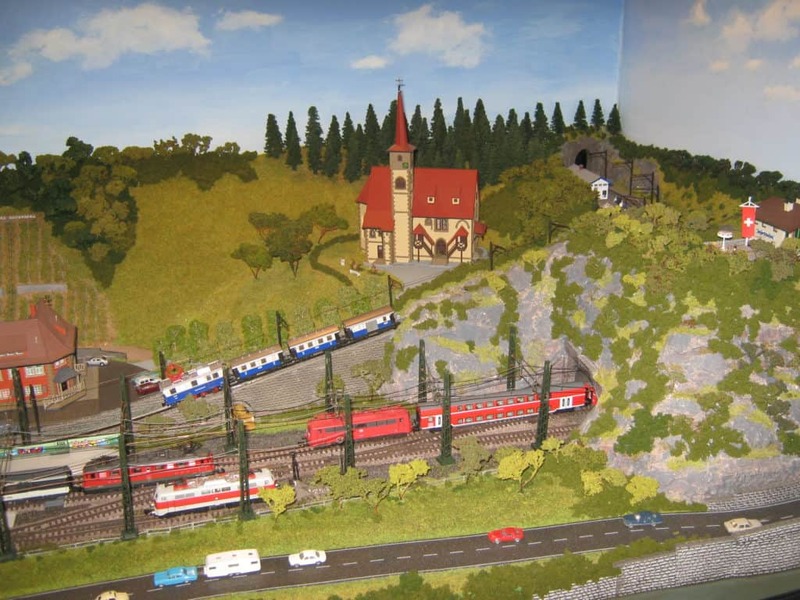 The layout title ‘Meinrheinszene’ is translated as ‘My Rhine Scene’. 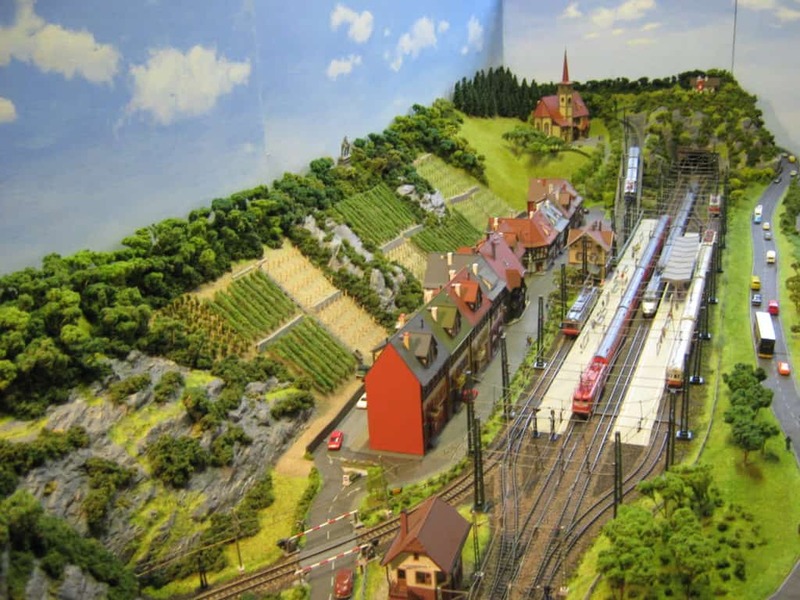 The idea for the layout was derived from a general interest in continental railways and two recent cruises along the river Rhine from Cologne to Basle. The first trip provided general information whilst the second trip included taking over 150 photographs to record stock movements and scenic detail. 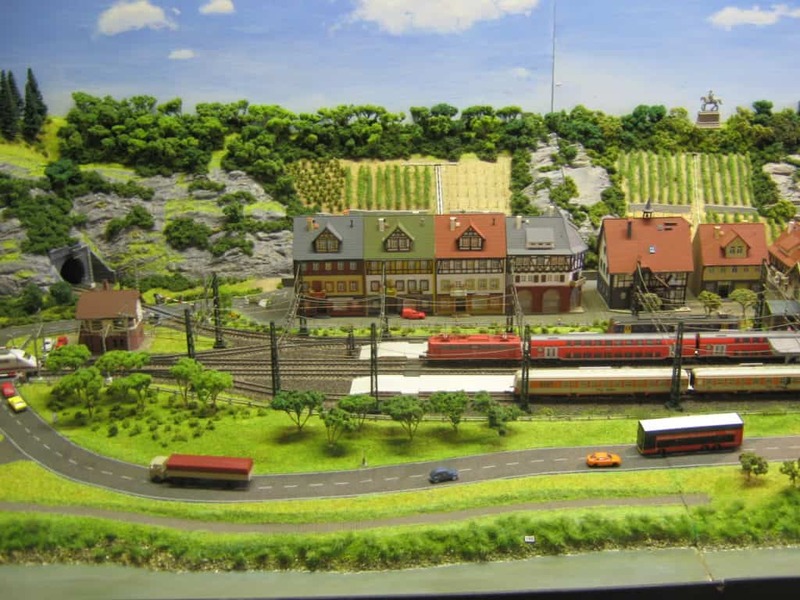 The location is fictitious but is inspired by the Rhine valley main line, particularly through the Rhine Gorge region between Koblenz and Rudesheim. 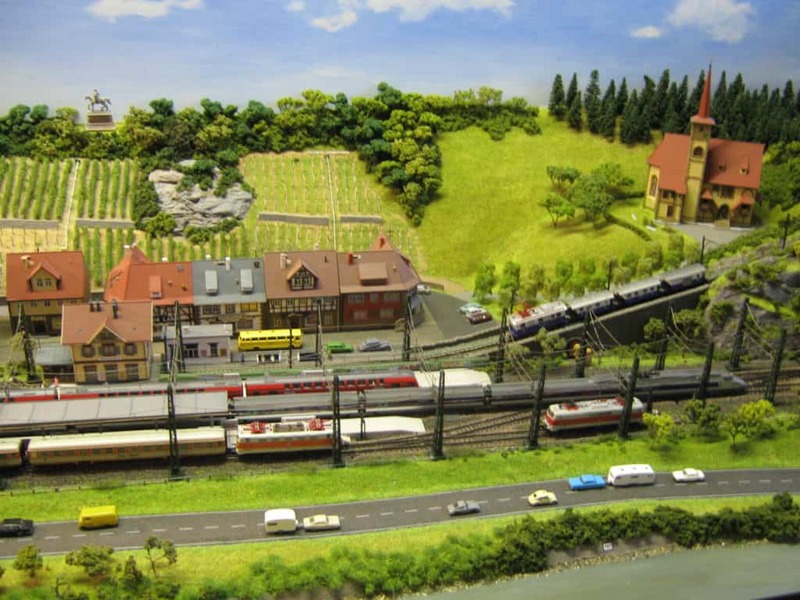 However, using modeller’s licence, this scenic feature may be imagined to be near to Basel (Basle) in Switzerland, close to where the Swiss, German and French borders meet. This all offers an opportunity to run a good variety of stock, mostly Epoch IV and V. I enjoy running the type of trains I like – plausible, but not always prototypically accurate! 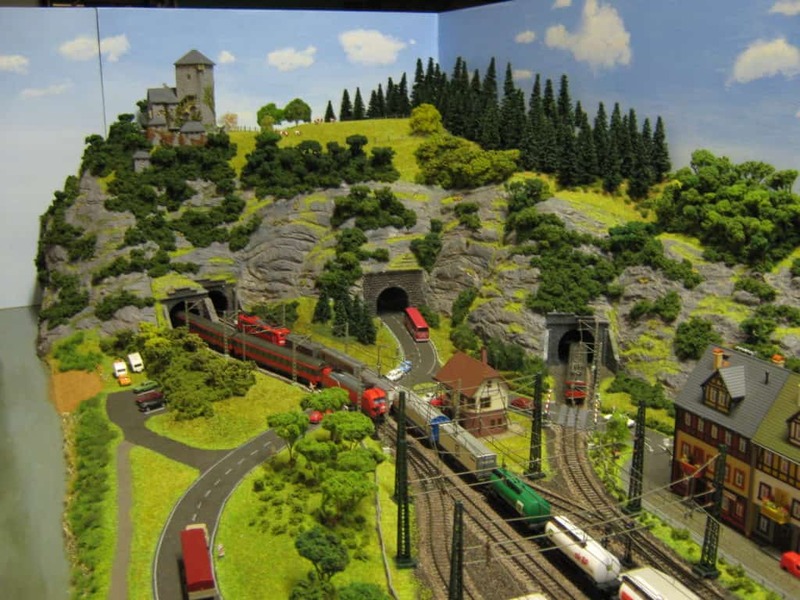 As can be seen from the accompanying pictures, the layout incorporates a double-track main line emerging from tunnel mouths at each end, which provide convenient scenic breaks. Trains pass behind the back scene into a 10-road fiddle yard. The station includes an island platform with passing loop and headshunt, a bay platform to the left of the main station building for trains terminating from the branch line, and a rack-and-pinion railway climbing from the right of the station for passengers to reach the hill-top restaurant overlooking the river. Behind the station is the small township of shops, post office and town hall. Behind these are the local vineyards. A castle overlooks the river at the left hand end of the layout. 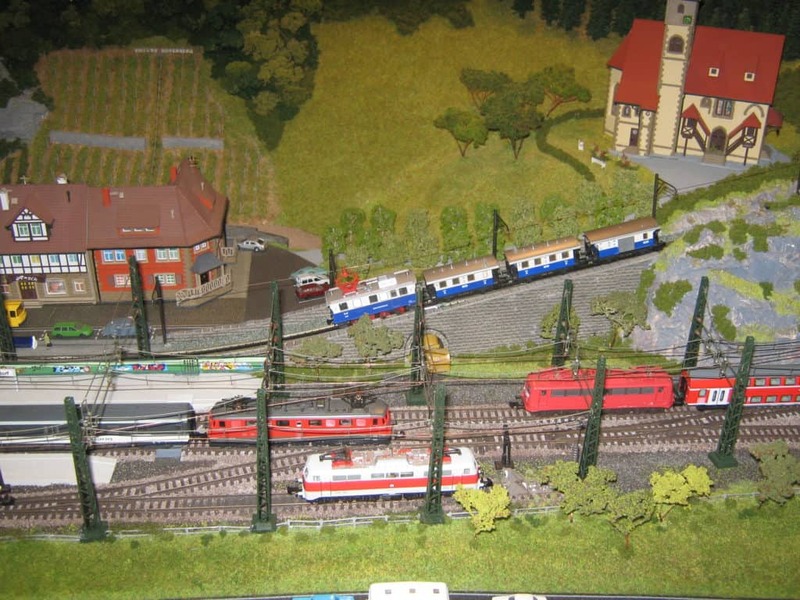 At least 18 train formations are available – mostly German (DB) but some Swiss (SBB/CFF), French (SNCF) and an Austrian (OBB) rake – with up to 14 different trains on the layout at any one time. These include the SBB Chur to Amsterdam service, OBB Strasbourg to Frankfurt, SNCF TGV Paris to Basel and DB ICE Cologne to Basel. The layout measures 9ft (2.75m) long x 3ft 6ins (1.07m) deep.